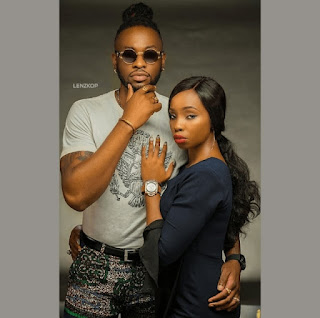 Ifan Ifeanyi Micheal Productions has revealed former Big Brother Naija housemates, Bambam and Teddy A, as the latest addition to the star-studded cast of "Foreigner's God." The reality stars join talented actors such as Pete Edochie, Onyeka Onwenu, Ini Dima-Okojie, Sharon Ooja, Sam Dede, Linda Osifo, Annie Idibia, Toyin Abraham, Lala Akindoju and Kunle Idowu . While the undisclosed role in "Foreigner's God" is Teddy A's official acting debut, Bambam has featured in Nollywood productions such as "Inspector K" and "Backup Wife." The official synopsis for "Foreigner's God"
At the peak of colonial-era Nigeria, English documentary photographer – Pepper Claude , follows a tale of the supernatural journey into the heart of Igbo land in search of a story. All goes well until his bodyguard mysteriously disappears and he falls in love with one of the culprits – Anya, an accused witch living under subhuman conditions, in a witches camp in the heart of the jungle. Convinced that this is just another case of tribal discrimination, Pepper Claude is committed to having Anya and her people free, until a series of unfortunate events set the world as he knows it, spiralling out of control.